Cleared for publication: Four Palestinians were arrested in the beginning of July for involvement in the October 2012 murder of Itzik Algabi, 61, from moshav Avihail in central Israel. According to police, Algabi was most likely murdered when he caught the four as they were trying to break into his daughter's house. Over the past month, the four's remand was extended several times. According to police, investigators have evidence linking the four to the murder and soon an indictment will be filed against them. According to Limor Halevy, who represents one of the suspects, her client denies the allegations, claiming he was not present at the scene of the murder and was not an accomplice. "When an indictment is files, we will review the evidence and respond accordingly." On the night of the murder, Algabi was at home with his grandchildren. At some point, he walked over to his daughter's housing unit in his backyard, and upon entering his daughter's residence, saw the burglars. One of the burglars stabbed Algabi in the chest using a sharp object. Algabi collapsed as a result of the stabbing and his death was pronounced shortly after. The murder investigation found that the four suspects run a crime ring that specializes in car thefts and transferring stolen cars to the Palestinian Authority. The investigation further revealed that at the night of the murder, the four attempted to break into several other houses before arriving at Algabi's property. Algabi's daughter Liran, who found her father bleeding on her doorstep recounted that at that night of the murder her parents were watching her children, and when she came home from work, her mother told her that her father had gone to her house to bring bread for dinner. "My mother told me that my father left about fifteen minutes earlier and hasn’t come back. I was sure that dad, who was always trying to help, must have stayed to take my laundry off the clothes line. I went into my driveway and then I saw him in front of me in the hall, injured and unconscious." Algabi's daughters, Liran Mizrahi and Meirav Giller, expressed Wednesday their helplessness and fear in considering their father's murderers won't stand full trial. "The country should take responsibility for the security of its citizens," said Meirav. "They're constantly warning us about the Iranian threat, about the Palestinian threat, but the problem is our own domestic security." Liran and Meirav said they appreciated the police's conduct in keeping them up to date on the investigation's details and in detaining the suspects, but admitted they were concerned of how the court case would play out. "We're hoping that the charge will be murder and that the prosecution won't settle or order a reduced sentence. It's clear that a man was murdered in his house in the middle of dinner. It's inconceivable, that a man was murdered so brutally in his own home, where he is supposed to be safe." "There are mixed feelings," Algabi's daughters said, "On the one hand we're relieved they finally caught the murderers, but on the other hand there is all this pain since dad was killed." The women said they have lost sense of safety in their homes: "I had the house geared with security systems 2,000 dollars worth," said Liran. "We put ourselves into a prison so that we feel safe and protected. People need to understand that thieves nowadays are murderers too." "Dad was a prominent person in our lives," the daughters added, "He meant the world to us – he meant the world to a lot of people. He was a warm father who was always looking out for everyone, family members or not. There's a huge hole in our lives now that we cannot mend. The grandkids keep asking where their grandfather is." The Israeli occupation authorities (IOA) refused to release the oldest serving detainee Sheikh Nazih Abu Oun despite his ill health. The Palestine center for prisoners’ studies said in a statement on Wednesday that Abu Oun, 51, was arrested on 5/7/2011 and was held since then in administrative detention, without trial or charge. Amina Al-Tawil, spokesperson for the center in the West Bank, said that the IOA threatened Abu Oun, who is currently held in Hadarim jail, that his detention would be renewed. She said that Abu Oun, who previously served 17 years in Israeli jails mostly in administrative custody, suffers acute pain in the eyes. He was once elected as municipal council member of Jaba village, his hometown, near Jenin and was known as an activist in defense of prisoners’ rights. Israeli authorities extended the arrest of three minors from al-Aroub refugee camp, north of Hebron, detained in Ofer military prison. Palestinian Prisoners Society said that the Israeli authorities claimed they extended their detention period for interrogation purposes. The minors are: Mu'ath Abu Hashhash, Hatem Jawabreh and Ali Abu Sal. Jordanian prisoner Abdullah Barghouthi, whose health seriously worsened, said he would continue his hunger strike until he dies or returns to his country. According to head of Mandela institute Buthaina Duqmaq, who visited the prisoner lately, Barghouthi affirmed that he and the other four Jordanian hunger striker would never end their struggle for their just demands even if it cost them their lives. Duqmaq said that prisoner Barghouthi enjoys high spirits despite the long months of hunger strike that affected his health considerably. Barghouthi, who is serving 67 life sentences, suffer from serious health problems in his right kidney, liver and left hand as a result of the hunger strike, according to his doctors. Dan District patrol officers arrested two Palestinian residents of the territories under the suspicion that they stole cell phones in the center. The two are suspected of robbing a 16-year-old Bnei Brak, and another young woman in Tel Aviv. Police will bring the two, aged 19 and 33, to a hearing on extending their detention. Israeli occupation forces arrested Wednesday, five Palestinians from the village of Yatta, Al-Aroub and al-Fawwar refugee camps, south of the West Bank. Security sources said that Israeli forces raided Yatta village and arrested Khaled Makhamreh, 40, Medhat al-Athamneh, 21 from al-Fawwar refugee camp near the village after searching their houses and rummaging with the contents. The forces also searched several other properties including the house of Khalil Bahes, Ibrahim Makhamreh, and Ibrahim Abu Raya. Israeli forces also raided al-Aroub refugee camp and arrested Wisam Sweilem, 18, Ahmed al-Khatib, 18, and Anas Awamleh, 20, and took them to an unknown location. 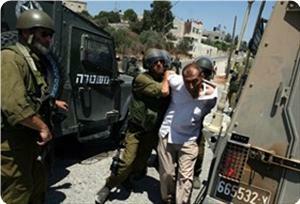 Israeli forces arrested a Palestinian from the village of Yamoun, west of Jenin. Security sources said that Israeli forces arrested the 19-year-old Tayip Ammar Houshyeh after raiding the agricultural plain in the village. A number of military checkpoints were also set at the main entrances of Samou' and Halhloul villages in Hebron Province, searched the Palestinians' vehicles and checked their IDs. The Israeli Army claimed Tuesday [July 30 2013} that Israeli soldiers managed to uncover a rifle during what was described as “a routine inspection” of cars near the southern West Bank city of Hebron. An Israeli military officer claimed that the soldiers located an automatic rifle, and several magazines, with two Palestinian youths. The officer added that two more persons, holding Israeli citizenship, were also arrested in the area, and that the army believes the two were smuggling weapons. All four persons have been taken to a police station in the area for interrogation. The Palestinian Authority Ministry of Foreign Affairs on Wednesday called on Israel to investigate remarks made by Israel's Economy and Trade Minister, which made claims about killing Palestinians. 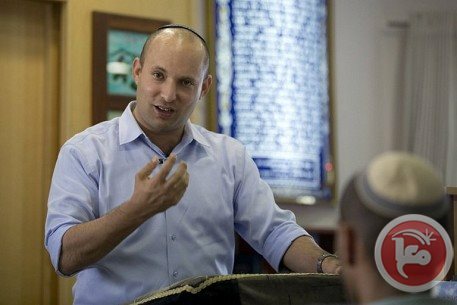 Naftali Bennett, leader of the far-right Jewish Home partner, commented to Israeli newspaper Yediot Aharonot following news of a Palestinian prisoner release that: "If you catch terrorists, you have to simply kill them." "I've killed lots of Arabs in my life – and there's no problem with that," he went on to say. The PA Ministry of Foreign Affairs said that based on these confessions, "the Israeli government has to open a transparent and legal investigation into these remarks and allow Palestinian rights advocates to follow the investigation." The ministry urged Palestinian, Israeli and international rights organizations to take Bennet's remarks seriously and hold him accountable. On Tuesday, the General Delegation of the PLO to the United States strongly condemned the "racist" remarks and called for international action. "It is extremely alarming that a public Israeli official at the ministerial level calls for murder and utters explicitly racist remarks without being held accountable." In any other country, such a minister would be dismissed, he said. Furthermore, Be’eri- Sulitzeanu finds it problematic that nobody is complaining about this. When Benjamin Netanyahu was re-elected as Israeli Prime Minister in January 2013, many political pundits predicted that we could now expect to see a kinder, gentler Knesset. Other analysts, myself included, feared that the new crop of legislators would be even crueler and more racist than their predecessors. An overview of the past six months would sadly seem to confirm the prognostications of the pessimists. To believe that with the ultra-Orthodox parties cut out of the coalition, level-headed leadership would ensue requires one to consciously ignore the endless stream of supremacist statements by top politicians from the largest parties in the government: Likud, Yesh Atid and HaBayit HaYehudi. Public comments made by parliamentarians in the last 24 hours alone perfectly encapsulate the frightening lows that this country's leaders have sunk to. 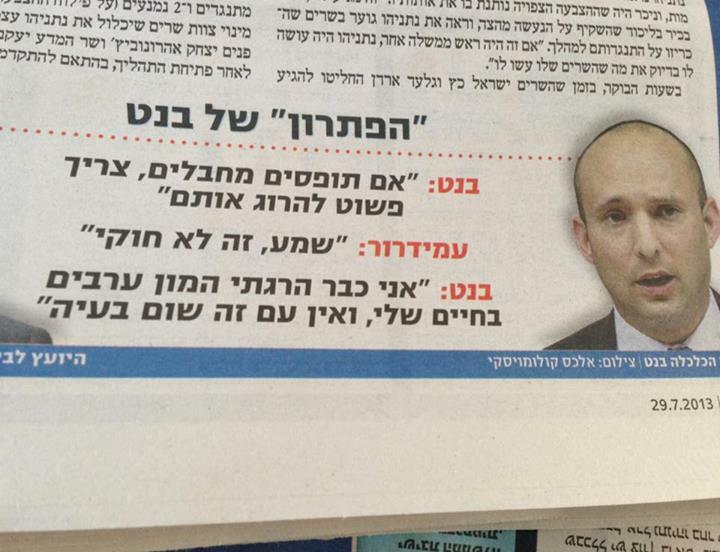 Yesterday, on July 29, 2013, Israeli daily Yediot Ahronot reported that the leader of HaBayit HaYehudi, Israel's Minister of Industry Trade and Labor and of Religious Affairs Naftali Bennett said, "I've killed many Arabs in my life and there's no problem with that." Asked to clarify his statement, Bennett's spokesperson told 972 Magazine that he was speaking not of all Arabs, but of Arab militants who are captured -- in other words, prisoners of war. Today, July 30, 2013, the ultra-Orthodox website BeHadrei Hadarim reported that David Lau, who began a ten-year term as the Ashkenazi Chief Rabbi of Israel less than a week ago, castigated Jewish youth for watching sports broadcasts, since the players are just "niggers". News site Maariv NRG uploaded a YouTube video that contained an audio file of Lau making the racist statements. The first English-language Israeli news site to run the story, Ynet, completely buried the lead of the story -- the rabbi's revolting racism - and focused instead on his aversion to sports. Worse still, they intentionally mistranslated the word he used, "kushim", which means niggers, as "black men", which in Hebrew is actually "shchorim", or "anashim shchorim". Bennett saw fit to respond to Lau's statement over Facebook, not condemning him for saying them, but rather condemning "the media" for "hounding" Lau. Bennett termed the comments "jovial", "marginal" and "insignificant" and announced his support for Lau. The anti-Arab and anti-African racism of Israel's top political and religious leaders is not reserved for the realm of words alone. The government continues apace with its dual human removal projects: the Prawer-Begin plan to dispossess Bedouin Palestinian Arab citizens of Israel of their lands, so that they can be appropriated for Jewish settlements; and the Yishai-Saar plan to expel all African asylum-seekers from the country. The objectives of the Netanyahu government are no secret: to reduce the number of non-Jewish people living in the country and to reduce the amount of land that the remaining non-Jewish people live on. Confident of the ability to carry out these plans, Israel's political and religious leaders make no attempt to hide the hate that lies behind them. 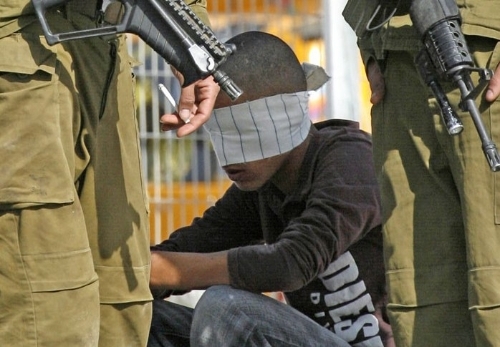 The Israeli occupation authorities (IOA) have extended the detention of nine Palestinian captives pending investigation, Tadamun Foundation for Human Rights said. The Israeli court in Petah Tikva has extended the detention of Ashraf Issa, from Nablus, for 11 additional days, Bilal Mohammed Awad, from the village of Awarta, for 10 more days, Montasar Bilal Ekob for 8 days, and Mahmoud Abu Salah for 7 days in order to complete the investigation. Jalama military court also extended the arrest of Abdul Rahman Shalabi, from Jenin refugee camp, Omar Hassan Yousef, and Mutassim Hani Ghanem for 8 additional days in order to present their files on the military prosecutor. 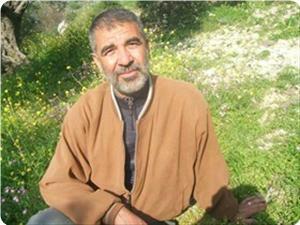 Jalama court has extended the detention of Hossam Omar for 4 more days pending investigation. 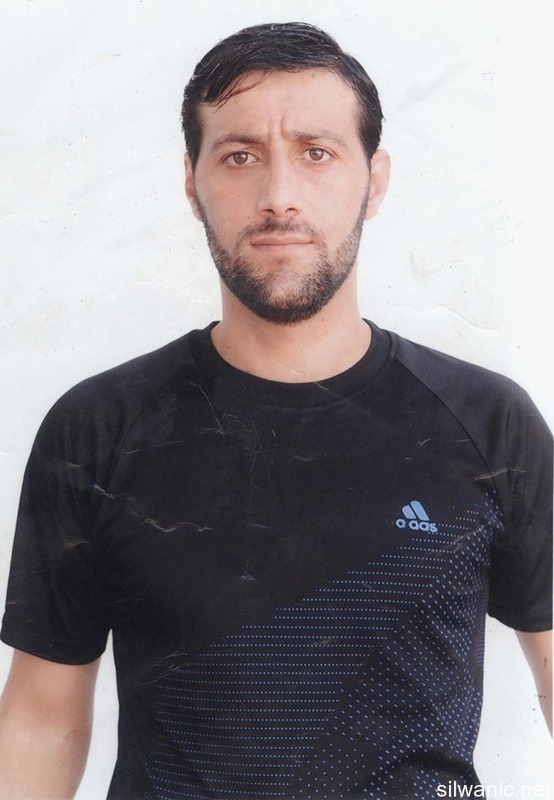 Meanwhile, Ashkelon military court extended the arrest of Bashar al-Jihad Dhun from Nablus until 08/08/2013 to complete the investigation. Dr. Yousef Rizqa, political adviser to Gaza prime minister, warned of offering new Palestinian concessions after the PA decision to resume talks with the Israeli authorities. He renewed the Gaza government rejection to the PA's unilateral decision to offer serious concessions to the Israelis amid Palestinian people and factions’ refusal to this step. There is no political justification for resumption of talks in light of an Israeli extremist rightwing government, an American biased policy, in addition to the unstable current Arab situation due to the systematic schemes against the Arab spring revolutions, he added. He described the Israeli decision to release 104 Palestinian prisoners who were detained before Oslo accords as a bribery that would be canceled once the negotiations fail. He pointed out that Netanyahu will supervise the prisoners' deal that will not include prisoners affiliated to Hamas or Jihad movements or the prisoners from 1948-occupied territories. He stressed that resistance is the only way to release the Palestinian prisoners from Israeli jails, citing Wafa al-Ahrar deal in which 1000 Palestinian prisoners, chosen by Hamas movement, were released in exchange for the Israeli Corporal Gilat Shalit. Extreme anger has prevailed in the 1948 occupied lands after the Israeli district court in Haifa city issued verdicts against seven Palestinians charged with killing the Israeli terrorist who committed Shafa Amr city massacre in 2005. Hundreds of Shafa Amr citizens and political activists participated in a rally outside the district court in Haifa city in protest at the ongoing prosecution of Palestinians for killing an Israeli terrorist named Eden Natan-Zada, the perpetrator of the Shafa Amr city massacre. Violent clashes broke out outside the court between the protestors and policemen. 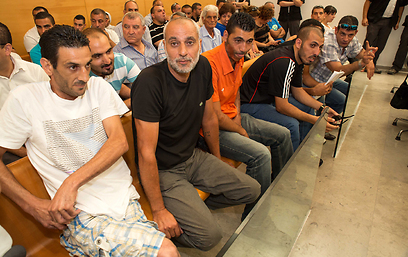 The district court acquitted seven Palestinians of intentional murder, but it convicted four of them of causing death and two others of causing serious injuries intentionally to the attacker. 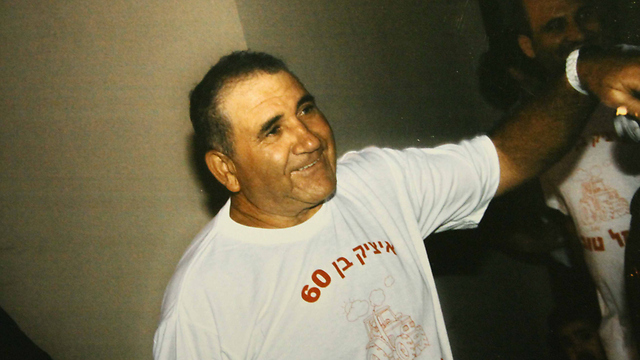 In August 2005, Eden Natan-Zada opened fire from his automatic rifle on Palestinian passengers en route to Shafa Amr from Haifa. He killed the bus driver, Michel Bahus, and three passengers, Nader Hayek and two sisters, Hazar Turki and Dina Turki, and wounded 20 others. During his attack, he was restrained, disarmed and beaten to death by other Palestinians on the bus as he was trying to reload to prepare for another round of shooting. 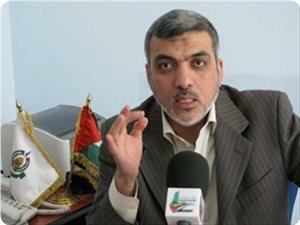 Political bureau member of Hamas Ezzet al-Resheq said that Palestinian prisoners in Israeli occupation jails should not be exploited as bargaining chips. He criticized, in this respect, the PA negotiating team for the way it managed the issue of prisoners. Resheq was speaking in a statement on his Facebook page commenting on the reported Israeli decision to free 104 prisoners as a step to go along with the resumption of negotiations with the Palestinian Authority in Ramallah. He said that the liberation of prisoners as in the Wafa Al-Ahrar deal that humbled the Israeli arrogance was far better than the freedom of prisoners as means to resume negotiations that only serve the Israeli occupation’s schemes. The Hamas leader recalled that the Wafa Al-Ahrar deal succeeded in liberating more than one thousand Palestinian prisoners in return for the release of captured Israeli soldier Gilad Shalit. 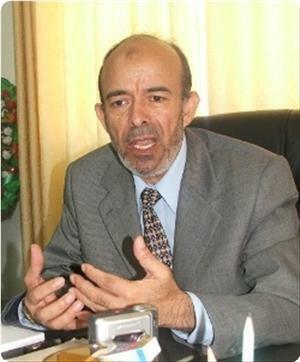 Secretary-General of the Palestinian National Initiative, Dr. Mustafa Barghouthi, stated that Israel is trying to use the issue of releasing some Palestinian political prisoners to politically blackmail the Palestinians to resume direct negotiations. Barghouthi said that the Israeli decision to release 104 detainees as a “gesture of good will” is not an act of kindness but an overdue responsibility that was supposed to be carried out 20 years ago. “This release is 20 years late, years lost behind bars”, Barghouthi stated, “They were supposed to be release in 1993 when the first Oslo Agreement was signed between Israel and the Palestinian Liberation Organization”. He also said that the Israeli decision is vague and loaded with traps, as Israel conditions the gradual release of those detainees with the progress of peace talks. “Israeli Minister of Justice, Tzipi Livni, said that the gradual release depends on progress of direct talks”, Barghouthi said, “This means Israel is blackmailing the Palestinians in order to oblige them to provide concessions”. The Palestinian official also said that the legitimate Palestinian struggle for liberation and independence is the struggle of more than 4800 detainees. “Those detainees sacrificed their freedom for the freedom of their people, not for partial agreements”, he added, “What is happening now is very serious, direct talks are about to resume while Israel continues its illegal settlement activities, and ongoing with its violations against the Palestinians and their lands”. He also said that Israel is performing its old tactics of using direct talks to cover-up its illegal settlement construction and expansion activities, and without any intention to stop its invasions, violations and assaults. 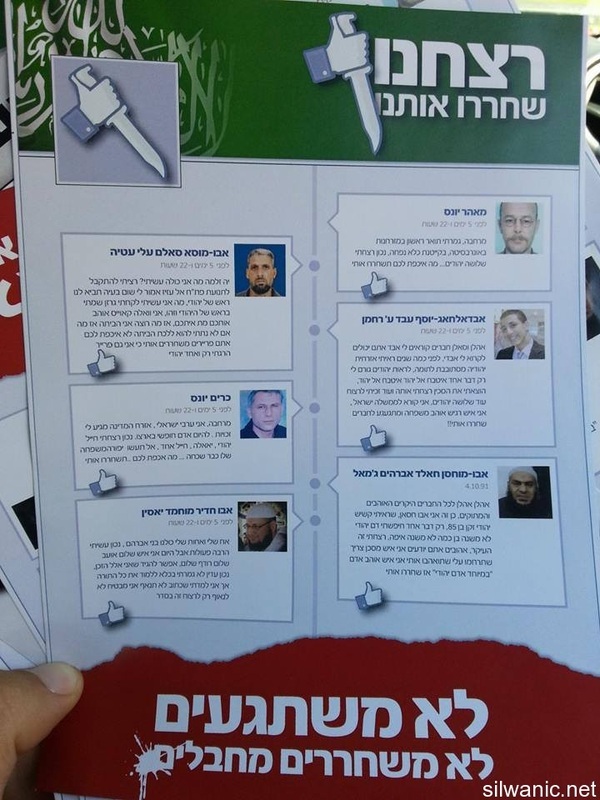 Some racist groups in the city of Jerusalem distributed enticing brochures targeting veteran prisoners on Sunday amid considering the release of some prisoners (pre-Oslo prisoners). The Jerusalemites detainees and prisoners families committee said that the brochure which was titled “we killed….they released us” included the pictures of some veteran prisoners talking about themselves being killers and will now be released. Meanwhile, pictures for Egyptians with beards were also included but had names of Palestinian prisoners and at the top of the brochure was a green banner saying “No God but Allah”; the bottom was in red referring to blood and said “we won’t go crazy” in Hebrew and “we won’t release terrorists” and on the other side of the brochure were pictures of handicapped people who were killed by resisters. The brochure was signed by Terror Victims Association. Among the pictures that were in the brochure was the picture of the dean of prisoners Karim Younes, Maher Younes, Salem Ali Abu Mousa, Yassin Abu Khdeir and others. The residents of Silwan welcomed on Sunday afternoon the two freed prisoners 32-year old Nitham Rushdi Abdelhafeth Abu Rammouz and 33-year old Wael Abdelfattah Jaber Al-Rajabi after spending two and a half years in the Israeli prisons. 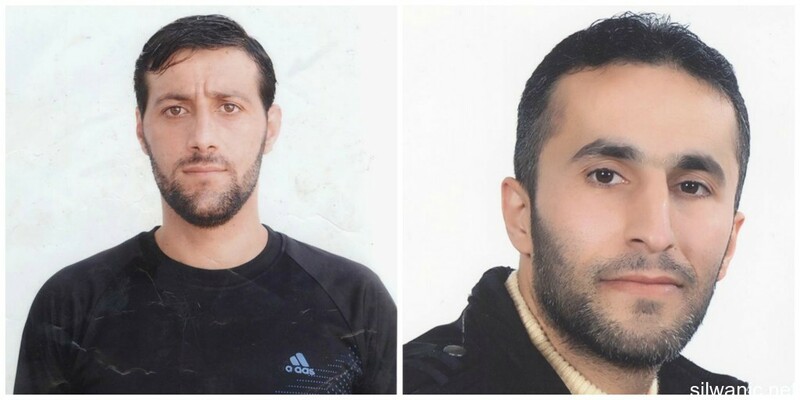 Abu Rammouz and Al-Rajabi were arrested in July of 2011 and spent 45 days in the occupation’s cells where they faced cruel investigation to get them to confess. They were charged of possession of a weapon and the planning to carry out an attack; they were transferred between several Israeli prisons. The two former prisoners delivered the message of the prisoners in Negev and Nafha prisons on the need to address the prisoners issue and work hard to release them without exceptions and without paying attention to the Israeli classifications; the prisoners also demanded to intensify popular movement and media in support of their cause. Wael headed to Bab Al-Rahma cemetery as soon as he was released to visit his father’s grave that passed away at the end of last February. The occupation prevented him from seeing his father for one last time and joining his family in the funeral, knowing that they have not met for two years because of his father’s illness and the prison’s administration refused the special visit request more than once. Al-Rajabi warned of protest actions that could be taken by the Negev prisoners to protest against the ill-treatment of their families during visits, where the waiting hours are very long and the inspections are precise and humiliating. Before being released, Wael said that the Negev prison administration confiscated some handicraft he had made during his time in the prison; they are small handicrafts of the Dome of the Rock and handcuffs that refer to arrest. Al-Rajabi has four children where his oldest is 8 years old and the youngest is 3. The freed prisoner Abu Rammouz talked about the administration of Nafha prison and how they threatened the prisoners to transfer them to different prisons as well as separating the visits of Jerusalemite families from the families of the 1948 lands as a punishment after the families protested against the visit last Wednesday when they were assaulted and humiliated. Abu Rammouz has two daughters who are six and five years old. 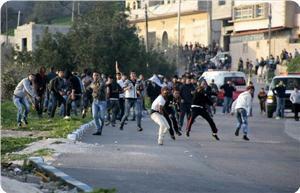 Israeli forces arrested three people overnight Sunday, Israel's army and locals said. Dozens of Israeli military vehicles surrounded the village of Tuqu, near Bethlehem, and arrested Odett Allah al-Amour, 17, locals said. 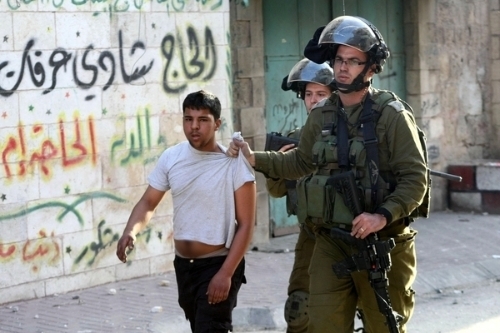 An Israeli army spokeswoman said one person was detained in Tuqu and two in the Ramallah-area village of al-Mughayyir. 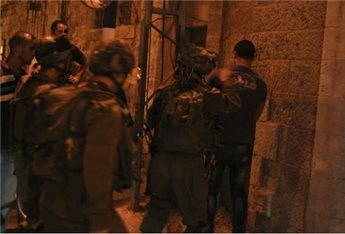 Israeli occupation forces (IOF) rounded up 11 Palestinians including five children in Al-Khalil at dawn Monday after storming their homes. Local sources said that IOF soldiers arrested five children in Arub refugee camp two of them 14 years old and three 16 years old. Journalist Ala’a Al-Teeti said that the soldiers broke into his family home in the refugee camp and took away his 16-year-old brother. He said that the soldiers terrorized all members of the family and holed them in one room before firing teargas at the house choking 20 members of the family including his pregnant sister. 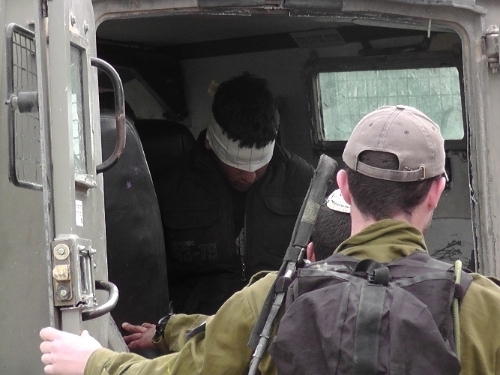 Teeti said that the soldiers severely beat up his brother Shamekh, 20, and hit his head several times into the wall. IOF soldiers also rounded up three young men in Edhna village to the west of Al-Khalil after they stormed a number of suburbs in dozens of armored vehicles. 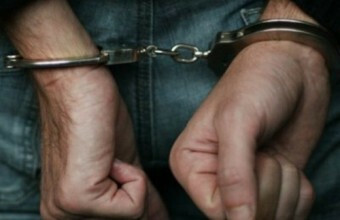 The soldiers arrested a young man in Al-Khalil city and a 35-year-old man in Biet Ummar village to the north of the city after summoning him to Etzion interrogation center. The soldiers nabbed the night before yesterday an anti-settlement activist in Tal Rumaida in downtown Al-Khalil after he confronted Jewish settlers who tried to assault his family. During these searches, the Israeli forces deliberately destroy the prisoners' personnel belongings under the pretext of searching for Mobiles. 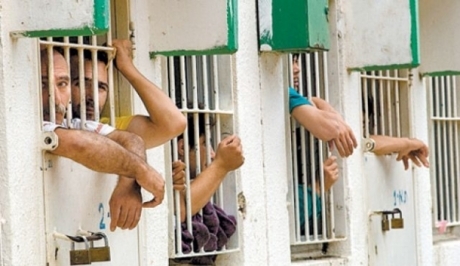 Nearly 50 Palestinian captives are jailed in Ashkelon prison including 30 patient captives. The Israeli occupation authorities (IOA) renewed the administrative detention of two Palestinians MPs affiliated with the change and reform bloc. The IOA decided to renew the administrative detention, without trial or charge, of MPs Hatem Qufaisha and Ahmed Attoun, who was exiled from occupied Jerusalem, for six months. Wife of Qufaisha, from Al-Khalil, said that the Negev prison administration handed her husband the decision on Sunday night. She noted that her husband was supposed to be released next Thursday. 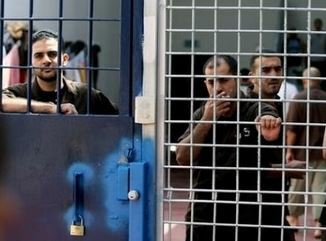 The Palestinian prisoners center for studies said that the Israeli prison administrations persist in its arbitrary measures against the Palestinian prisoners, especially during the holy month of Ramadan, without any regard to the appeals made by human rights groups. Spokesman for the center Riyadh Al-Ashqar stated that the Israeli prison administrations deliberately show their disrespect for the sanctity of the holy month of Ramadan through imposing further restrictions on the prisoners and killing their joy at fasting and worshiping during this month. 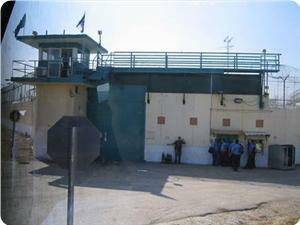 Ashqar added that the Israeli jailers intensified their search raids during Ramadan on the rooms of the prisoners in all prisons under flimsy pretexts and attacked prisoners a few days ago in Eichel jail, where several detainees were reportedly injured and four others were locked up in solitary confinement. The spokesman said that the Palestinian prisoners in different jails demanded the prison administrations to improve their incarceration conditions during the holy month, but their requests were declined. He affirmed that the prisoners have been served deliberately bad meals since the start of the holy month, forcing many of them to buy their food from the internal canteens, which, in turn, raised their prices for the Ramadan needs. 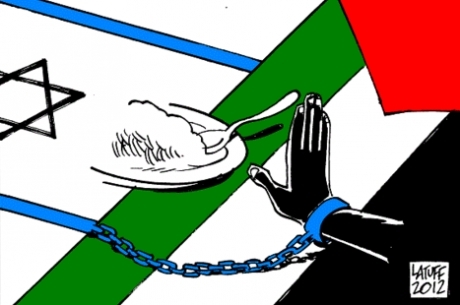 14 Palestinian and Jordanian prisoners continue in their hunger strike in Israeli occupation jails protesting their detention for various periods. Local sources said that five of those prisoners were Jordanians who demand their transfer to their country to complete their sentences there. The remaining Palestinian prisoners are on hunger strike in rejection of holding them in administrative detention, without trial or charge. The Jerusalem Post Israeli newspaper reported Israel’s Defense Minister Moshe Ya'alon said Sunday that Israel will pay a cost in terms of deterrence following the decision to free 104 Palestinian prisoners as part of resuming peace talks. 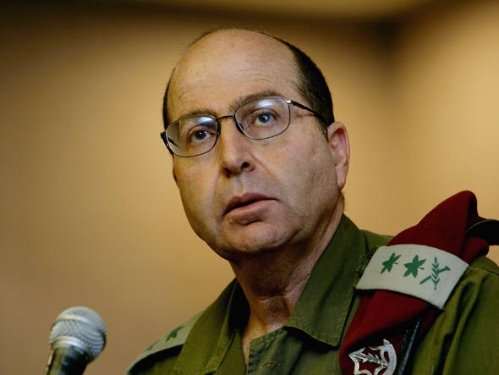 While talking to new IOF recruits at the military induction center, Ya’alon stated: "In the future the strategic considerations behind the decision will be revealed." Ya’alon addressed the chance of a successful peace process saying, "A third intifada is not in the cards and neither were the threats of a political tsunami. I advise the prime minister and cabinet ministers not to take such threats into consideration. The Palestinians were the ones to walk out on negotiations in the past four years. We will not sacrifice anything connected to security during negotiations." He also made it clear that there are still many questions regarding the talks. "We will ask the other side whether they recognize Israel as the Jewish people's nation state and whether a territorial compromise will end all claims." The Palestinian Authority on Monday slammed remarks by an Israeli minister who said Palestinian prisoners were "terrorists." 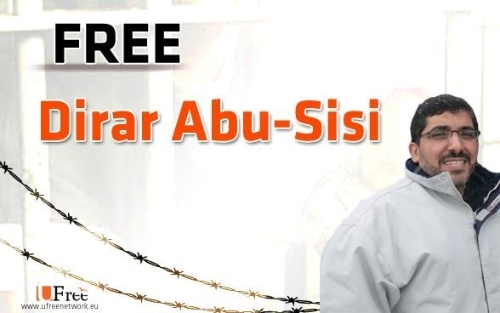 UFree Network to defend the rights of Palestinian prisoners in Israeli Jails expressed in a press release on Sunday, its deep concern about the life of Dirar Abu Sisi, 42, Abducted and imprisoned in Israeli jails. Abu Sisi was kidnapped from Ukraine over 2 years and then transferred to Israel. According to his family, he was beaten and tortured by Israeli authorities at many occasions. According to his wife Veronika Abu Sisi, a Ukrainian citizen, Dirar's health is getting poorer day after day. "He has problems with his blood pressure as well as kidney. He also suffers from Heart stroke from time to time. Dirar also suffers from 'slipped disc' and eye cornea problems. She added: Dirar is facing psychological problems due to the constant pressure and torture practised against him". Veronika also stated that Dirar is due to be present at an Israeli court for a hearing session on the 15th of September 2013. She further added that Israel is trying to fabricate some witnesses against him although they don't know Dirar and have no connections with him at all. The family appealed to Palestinian President, Mahmoud Abbas, to make sure that Dirar is included in any prisoner's release deals conducted with Israel. The family members have already sent personal letter to Mr. Abbas urging him to end the suffering of the family and Dirar. His health problems will deteriorate especially Dirar is under solitary confinement since his detention. Israel is apparently attempting to pressure him to confess under torture, a practice that is part of illegal Israeli measures against Palestinian political prisoners and detainees. According to Dirar's defence team, Israeli court imposed media blackout on his files where media outlets are not allowed to publish any details. It is worth noting that Abu Sisi was kidnapped from Ukraine by Israeli Mossad in cooperation with the Ukrainian intelligence. Dirar is a Ukrainian resident who was due to obtain his permanent residency in Ukraine. Israeli authorities accused Dirar of developing Palestinian rockets. The claim has been denied by Abu Sisi and his family. UFree Network launched an international campaign to support Abu Sisi. The campaign gathered hundreds of signatures calling for releasing Abu Sisi and holding Israeli authorities accountable for the crime committed against him. 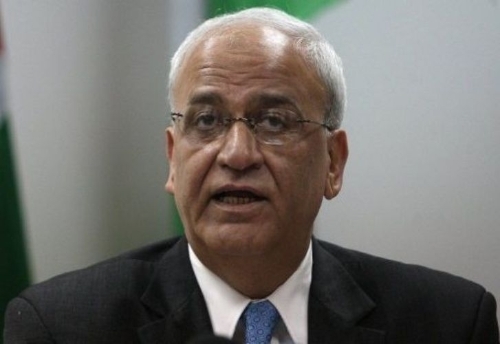 Dr. Erekat: "We Will Continue Working for the Release of All Political Prisoners"
Chief Palestinian Negotiator Dr. Saeb Erekat commented on the announcement made Sunday regarding the release of 104 Palestinian political prisoners from Israeli jails imprisoned before the Oslo Interim Agreement. 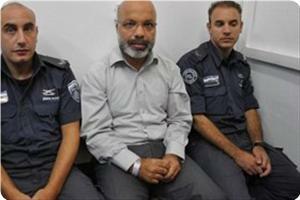 Dr. Erekat said "We will continue working for the release of all our political prisoners." "This Israeli cabinet decision is an overdue step towards the implementation of the Sharm Sheikh agreement of 1999, whereby Israel committed to reelase all the Pre-Oslo prisoners. We welcome this decision 14 years later." The decision includes all Pre-Oslo political prisoners that remain in Israeli prisons, including Palestinians from Israel. Dr. Erekat continued: "We call upon Israel to seize the opportunity made by US Secretary John Kerry towards the resumption of negotiations in order to put an end to decades of occupation and exile, and to start a new stage of justice, freedom and peace for Israel, Palestine and the rest of the region." Saturday July 7th, 2013. We’re called urgently to Umm al-Kheir. When we arrive, a woman is shouting and people from the village are running down the hill. Abdallah starts running ahead of me with his big camera. He sprints incredibly quickly for this rough terrain. People and soldiers are scattered chaotically on the hill above the well of the village. A young shepherd of Umm al-Kheir, Sa’id (aliases throughout), is being howled into a military jeep. People gather around the jeep, the women scream to God in over-bearing agony. People sit in front of the vehicle and a soldier comes to stand in front of them and stop the jeep, signaling for it to go backwards in reverse. It sprints away but the crowd reaches it when it starts turning. A soldier, the same one that gave me that blow two weeks ago, pushes me off and digs his fingernails into my skin. Haj Ibrahim from Umm al-Kheir is brutally shoved off by Tarek Hussein, the Druze Border Police officer. The old Haj is thrown on the rocks on the side of the dirt road. The jeep drives off. The boy’s mother lays on the rocks in agony, another woman lays next to her. People call for water and yell “Allahu akbar” canonically. The Ta’ayush comrades reproach the soldiers, “You’re amused?! It amuses you to separate a mother from her son? !” The commander procures a closed military zone to shoo us off. The map they present us bounds an area that is some 100 meters or more from where we’re at, but the soldiers are not taught to read their own maps. Ridiculously, they push us off in the direction they actually closed. Some of us decide to insist in protest and get arrested with the shepherd. Uriel is told he’ll be the first one to get arrested. “I can’t leave the people we’re accompanying on the ground like this, I’m with them,” he responds. I sit next to the women. I give Saul the camera I have thinking he won’t get arrested.They arrest him a minute later. G is taken too. As the soldiers haul my friends off, I get ready. Amidst the chaos, I drink some water, put my things out of my pockets and into the bag, and set my glasses firmly on my nose. Peacefulness. Blow to the shoulder. Sack of potatoes. We exchange friendly looks. “Well, looks like we’re having a long day together,” I tell Saul. “Sheket!” a soldier yells to silence us. “You’re not allowed to speak.” We occasionally defy this order, and he’s a little too eager to remind us of it for the rest of his stay with us. Later, at the station, he will obsessively remove and reinstall the cartridge of his weapon. Disturbingly reminiscent of Kubrick’sFull Metal Jacket. On the hill, people are still scattered. The usual green-grey turtles with helmets and killing gear among the colorful Palestinians and activists. A Palestinian ambulance arrives to take care of Sa’id’s mother that is still collapsed on a rock. There’s some pushing around and shoving. 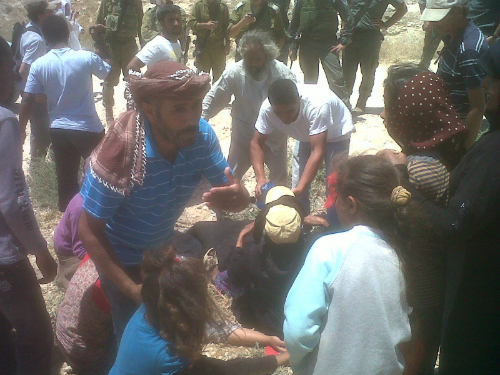 Another Palestinian shepherd, Murad, is being taken by the soldiers. We’re all put in a vehicle. That’s it. The military has kidnapped their share for the day. We’re being taken away. At the other side of Carmel, Sa’id is brought to our vehicle. He is blindfolded and his hands are tied behind his back with a single zip-tie. It’s all removed when he’s put with us. He’s somewhat shaken. Looks around quickly. Looks ahead. Winces at the electric gate of the settlement. Rarely do Palestinians see it from this side. He rubs his wrists with relief. Military regulations require three zip-ties, but only few can demand it. Not a word. Then a Border Policeman, a loud and friendly guy, a little chubby and with a kippah, starts filling up the arrest reports. The Hebron police station was somewhat “domesticated” by Ta’ayush over the years. They still do their job as occupiers and agents of apartheid, but they do it with a smile. Some of them, settlers themselves, prefer our company to that of the ultra-violent ideological settlers they have to deal with occasionally. The officer tells us our accusations and asks if we’re injured. He asks me to translate to Arabic and I use the opportunity to talk to Sa’id and reassure him. He’s in one shape, and the energetic zest returns to his often-smiling eyes. 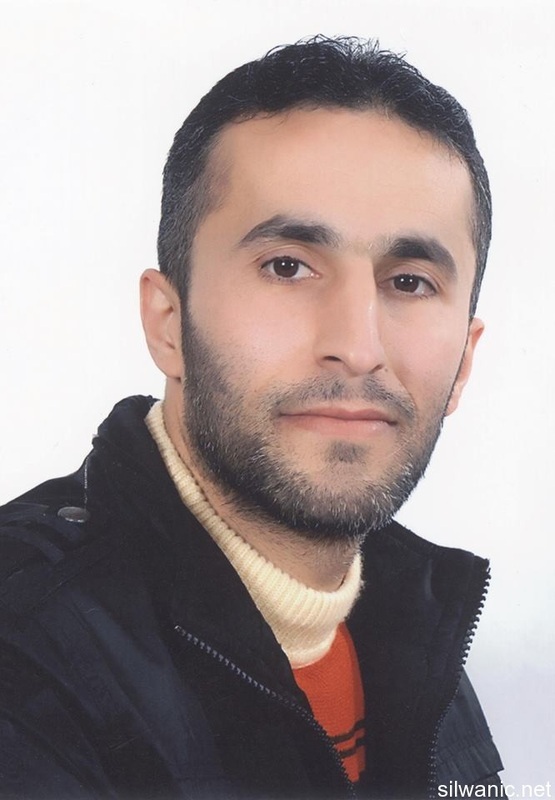 Murad was beaten and his left leg is hurt, but he refuses medical treatment. We’re accused of entering a closed military zone. These accusations shouldn’t be more than a detention. Sa’id is accused of trespassing, although he intentionally went way around the extension of the settlement Carmel. A couple of weeks ago the Haj was similarly arrested there, alone, and ended up spending several days in prison. When I just started coming to Ta’ayush, settlers would regularly attack the shepherds there and scatter the herds. Now the army does a better job for them, they go directly for the people in a way that doesn’t allow them to return. Accordingly, Sa’id avoided it, but with no avail. Visibility is arrestable. The military sterilizes the hills, to use the term used for the apartheid streets of Hebron (perhaps it’s tragically fitting that a toilet was confiscated there two weeks ago). Murad’s charge is different. Tarek, the Druze officer, says he called him a Nazi, so Murad is accused of insulting a public servant. This kind of charge happens quite frequently. Gentle egos. Ezra recently won in court for allegedly insulting a commander by saying that the unit was committing war crimes. As for Murad, I can say with certainty, and with the risk of time-traveling back to kindergarten, that he did not call Tarek a Nazi. When we reach the station, the accusations change slightly, as the previous ones were not arrest-worthy. I refuse to sign all documents presented to me. I met Murad during the first time I went to South Hebron Hills. He looks a lot like Sa’id – kind eyes, handsome, youthful smiling energy. I was stranded in Umm al-Kheir for a couple of hours that are sealed in my mind as particularly beautiful. That’s where my addiction to the sweet chai of the south began. I didn’t speak any Arabic at the time. He asks me now if I married since then. I didn’t. He’s getting married in three weeks, God’s willing. I congratulate him cordially. He learned English since our first encounter, so now we’re doing some language-tutoring exchange. At the station, one is exposed to the absurdity of the law enforcement the Occupation engages with on a daily basis. A Palestinian man was arrested with his three year-old son. The man is handcuffed, and the kid follows him around, completely obfuscated. I think he was caught with the wrong documents in a vehicle with the wrong license plate and all in the wrong place. “You’re so cute!” the cops yell at the toddler and give him an old Bamba snack. Another Palestinian man is brought in. Cuffed hands and feet. He was caught at the checkpoint as well – with the wrong license at the wrong place, and most importantly, the wrong race. A cop comes in, gives him his phone, and tells him to call his dad and tell him to bring 2000 shekels. No investigation, no nothing. “Where will I get 2000 shekels? !” he asks and I translate. There’s little we could do for him legally, and these cases are endless. The least we could do was request for the cops to release his hands. A picture of a clown hangs on the wall. The hours go by. The soldier that arrested us is walking back and forth and tapping on his M16. He plays with the cartridge. An ominous energy fills the room. Sometimes life looks like a Kubrick film. I tell him he’s making me feel anxious and ask him to stop playing with his weapon. He tells me he will not shoot me, unless he feels his life’s in danger. I tell him that’s exactly what scares me. He stops shortly afterwards. He’s bored and unhappy. The investigation, when it finally comes, is a joke, and the investigator knows it. There’s no case, it’s a false arrest. We play our roles methodically. The day goes by, evening turns to night, guards shift. The four Israelis, including myself, receive a 15 day restriction from the South Hebron Hills. Sa’id and Murad receive a 15 day restraining order from the area, which is not clearly delineated, but definitely includes the well, which is crucial for shepherdry. It’s not a problem to arrest the people of Umm al-Kheir at any time. The settlement Carmel was erected in very close vicinity to the village, practically on top of it, and so the “special security zone” (Shabam, in Hebrew) includes the entire village. The people are thus trespassers in their own homes. Murad receives an additional penalty – a 1500 shekel deposit, which was raised collectively by the villagers. These are people that spend almost 50% of their low income on drinking water. Deposits, fines, and bails for vehicle confiscations and arrests in the firing zone and elsewhere, are a big source of income for the police. Palestinians also pay taxes to the Israeli Civil Administration despite the lack of running water, electricity, and infrastructure. In some places the sewage of the settlement on the hill pollutes the crops of the village in the valley. Such is the scatological nature of the occupation. Nonetheless, good people that want to help are necessary everywhere. If you go to a college or a church with a big endowment, initiate or join a divestment campaign. If you decided not to buy ice cream today, spare some dimes for our legal expenses. If you’re around the area, join us. Four accompaniers are gone for the next two weeks, and there’s plenty of work to be done.